In response to our informal survey, conducted from Aug. 1 to Aug. 19, 62 percent of respondents told America that the current sexual abuse crisis has changed how they see the church. Others mentioned that they appreciated statements issued by Pope Francis. “The outpouring of support for the victims and the sorrow expressed by Pope Francis and other Catholics including priests has strengthened my faith. I am reading suggestions for positive change and ignoring homophobic accusations [against priests],” said Jennifer DeSena of Manhasset, N.Y. The words of parish priests appeared to be especially meaningful, although only 19 percent of respondents said they had heard about the abuse crisis at Mass. “After Mass our pastor read a statement from our bishop and added his personal words of sorrow and pain, and he asked for our prayers. It was moving,” wrote Ms. DeSena. 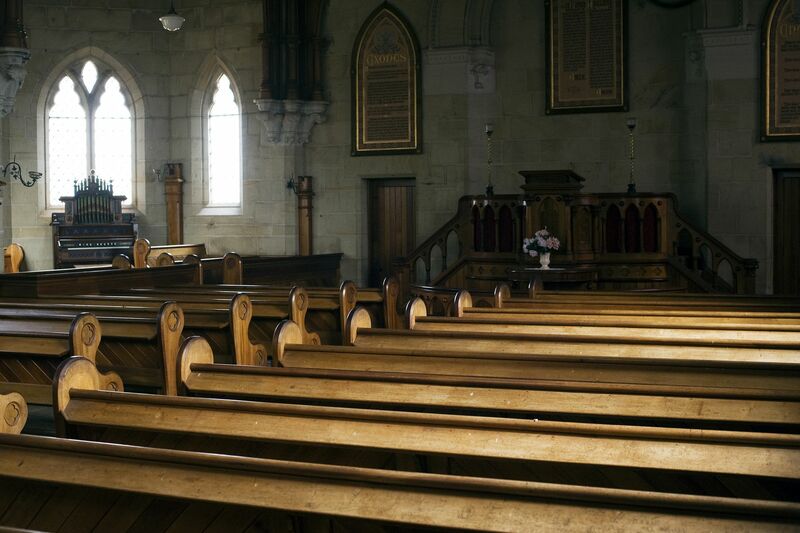 “I have not heard any homilies about the current abuse crisis, but I wish our pastors would talk about it,” said Carol Goodson of Carrollton, Ga. The survey also asked each respondent to compare his or her current reaction to the experiences of the 2002 scandal. If the editors are willing to share what they have learned, I would be curious to know this answer to this question. Why should this even be a question? Why should one's faith be affected by how others have behaved? It should be based on our beliefs. If our faith as adults is affected by the behavior of others, then maybe it is our beliefs that should be questioned. If one believes in The Way, The Truth and The Life, another's action no matter how horrendous should not matter. I was at a Mass a couple weeks ago said by the priest in charge of a seminary. The first thing he did was address the crisis since he oversaw the seminarians. When we were baptized, God claimed us as priest, prophet and king. We are all on the path to holiness. The Eucharist each week is Jesus’ promise to us that He will never abandon us. As faithful laity, myself included, I have not fully understood the holy power bestowed upon me by God in my Baptism. Satan, and I believe he is very real, desires that I forget my Baptismal vocation. The Church is part of my royal tradition as a daughter of the King. Unfortunately, the Chutch has taken on aspects of royal secularism and it has come out as filthy and evil. I believe that it will continue to vomit out this disease for years to come. I will continue striving to be rooted in my faith, to be watchful and discerning about those in sacramental and ministry “power” and help our Lord spread his Good Word while rooting out the rot. I can only do that if I put complete trust in Our Lady and the Holy Spirit. It feels like it’s too much and too far away for meaningful impact. I don’t doubt that. But I truly believe that we have good and holy priests and seminarians who needs us desperately as well as victims of heinous abuse who need us to perform a collective reparation for the Church’s repugnant sins. Those who performed those abuses need both justice and mercy. This is such a dark time and I truly believe that a light, albeit a dim one now, is penetrating the darkness. I will continue to pray daily for victims and for the souls of those priests eho committed heinous crimes. During the 54 day novena, at the Sorrowful Meditation, we petition Mary for the virtue to love our enemies. So so incredibly difficult when those priests, so despicable and rotten to their core, disposed of child souls with depraved appetites. I have cried over this and I long for their earthly or heavenly healing. I want to let them know that they are loved beyond measure due to their Baptism but I feel inadequate, beyond daily pray intercessions, to do more. However, in The Soul of the Apostalate, prayer is primarily powerful and transformative before the works of good deeds. I believe that every bishop should commit to prayer and fasting and lead the laity to transform from within guided by the Holy Spirit. Then, and only then, rush to get to bureaucratic meetings to fix the problem. First things first. The Holy Spirit, as always and unfailingly, will guide us. It's like I'm driving from south Florida to Nome, Alaska in the best car ever made. On the way the engine develops problems, so I halt the journey and take it to the company's expert mechanics thinking that if anyone knows what to do, they will. They patch up my regal roadster, and I return to the road, North to Alaska. Along the way the car again develops problems and I repeat the process of repair. The new mechanics discover that the former workers were incompetent and re-do the shoddy work. I again get into the cleaned up vehicle and make it all the way to Nome, and back to Florida with no further problems. I love it even more than I did before. Hopefully, something like this will happen to the Barque of Peter. Challenge my faith in Christianity? No; why should it? Challenge my faith in the Roman Catholic Church? Of course; the real question is whether the Church, at least as exemplified by the behavior of many of its leaders, has itself lost the faith, or at least the faith it should have. The advances of the Dallas Charter of 2002 seem to have come not because of a sudden attack of Christian conscience, but because of the reporting of the Boston Globe, National Catholic Reporter and the news media in general. Too bad that it took fear of exposure to nspire what basic Christian values demanded. And I don't mean to say it is all "their" fault. It is ours too, for our reluctance to criticize and question ann often corrupt leadership. I hope the seminaries all give a course like Basic Christian Ethics 101. If not, perhaps they should. Three cheers for Bp. Scharfenberger and his call for a lay investigation. I hope many of his colleagues have the courage to back him. This article also appeared in print, under the headline "How has the current sexual abuse crisis challenged your faith? ," in the September 3, 2018 issue.